Sith Apprentice - Now Playing in the 2005 SWFFA! in the 2005 Star Wars Fan Film Awards! One of TIME Magazine's Top 10 Star Wars fanfilms! 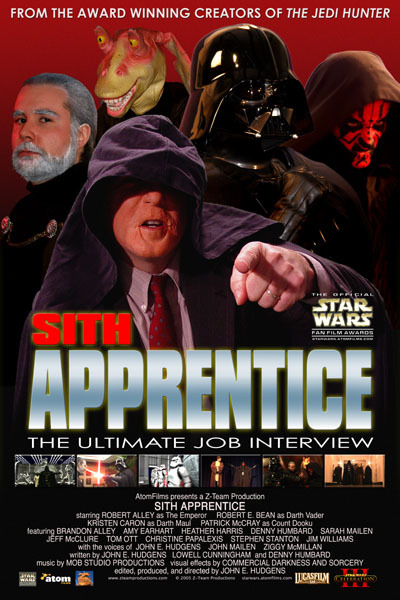 SITH APPRENTICE is a parody of Donald Trump's hit NBC reality show The Apprentice, set in the Star Wars universe. Who will be the new SITH APPRENTICE?